Geman Herman Kohl and his oligarchs all denied the stairs to the alleged ‘gas chambers’, declaring any such person a Witch. He got them thrown into Concentration Camps via his Foreign Office. I was one of them. My comment was that these stairs indicate the places to be ordinary Morgues, and had nothing at all to do with ‘gas chambers’ as the Stalinists declared. Helmut Kohl, a camouflaged Stalinist had adopted Stalin’s main Doctrines, line, hook, and sinker. This little secret group of elites never denied Stalin’s main Doctrines. No even one of them, and in some ways even expanded on them. According to Helmut Kohl and his oligarch companions such a claim was the purest of Blasphemy, an horrendous Heretical claim. And as none of them dared to go behind, what was then called the Iron Curtain, they got away with their claims. The claim was that I, Ditlieb Felderer, had made the ‘stairs’ up, and he had State payed historians and wise men, such as Wolfgang Scheffler, Eberhad Jackel, and others, to prove me wrong. Judges of Scofieldist religion were set in against us. Dispensationalist Barbara Just-Dahlmann and others were set in to fight me. Thus, the German and Swedish States were using law-men to fight me, and who all were champions of specific religions opposed to my religion of just finding out what was there. I was indeed forcibly engaged in a classic Religious War where I was denied defending myself and where my opponents could do with me and my Philippine wife as they wished. And all we wishes was to show what was there. Neither my wife nor myself had any specific religious convictions. None of us had ever voted in our whole life for a political party. All we wanted was: We didn’t want to get fooled. That was all. In his teachings, Helmut Kohl and his friends were staunch Stalinists. They agreed to Stalin’s 4, 6, to 8 million Martyrs. Stalin’s Starve Doctrine that made the Auschwitz huge Kitchen disappear in political garble and nonsense. Stalin’s No Water Doctrine or No Drink Water Doctrine that made disappearance of the Auschwitz Swimming Pool. Stalin’s Death At Once Doctrine. His Dog Doctrine. His Smell Doctrine. His Scream Doctrine, and all the rest of Stalin’s endless of Doctrines. But the one first preaching the Doctrine of Stair Doctrine was actually Stefan Szende whose Stair Doctrine was made by Helmut Kohl into a Gospel Truth simultaneously with No Stair Doctrine as it otherwise would prove Stefan Szende a liar and that must of course not happen. Stalinist Stefan Szende, not a cryptic Stalinist like Helmut Kohl and his friends, but an open one, declared that Hitler in substratum had built subterranean, types of rooms; secretly made to hide the massive exterminations supposedly going on. The problem with this little group of political theorists, was; their total absence of reality. They viewed everything in their little world as economy and so had no time to delve into the reality of the Newspeak of Doctrinal Cult propaganda. 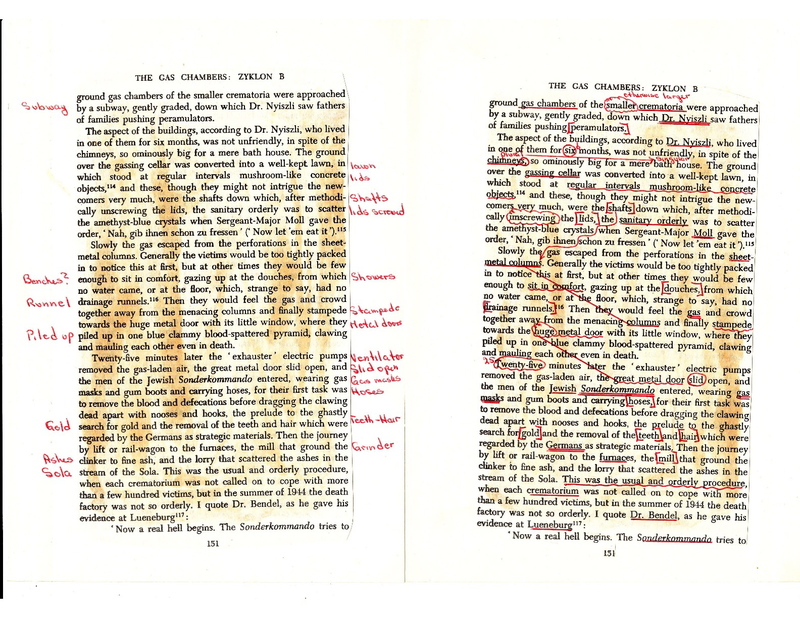 Reading Stefan Szende it is evident that substructures were built by Hitler to do his killing. Some kinds of rooms which had types of Swimming Pools below surface level. A form of tanks, into which water was poured. Electricity was put on, killing the Martyrs. The death structures were winched up, Ashes emptied from the Martyrs onto trucks, and then used for manure. So in fact, many of Stalin’s Doctrine were loaned from Stefan Szende who to his death declared them to be Gospel Truth. We do not know of one single case in which any of Helmut Kohl’s friends ever denied Stefan Szende’s outrageous claims. But in the month of February 2008, Stalinist Helmut Kohl, had a taste of his own Denial, his Holocaust Denial and for partly I was put into Concentration Camp. While going town basement stairs he fell and severely injured himself. 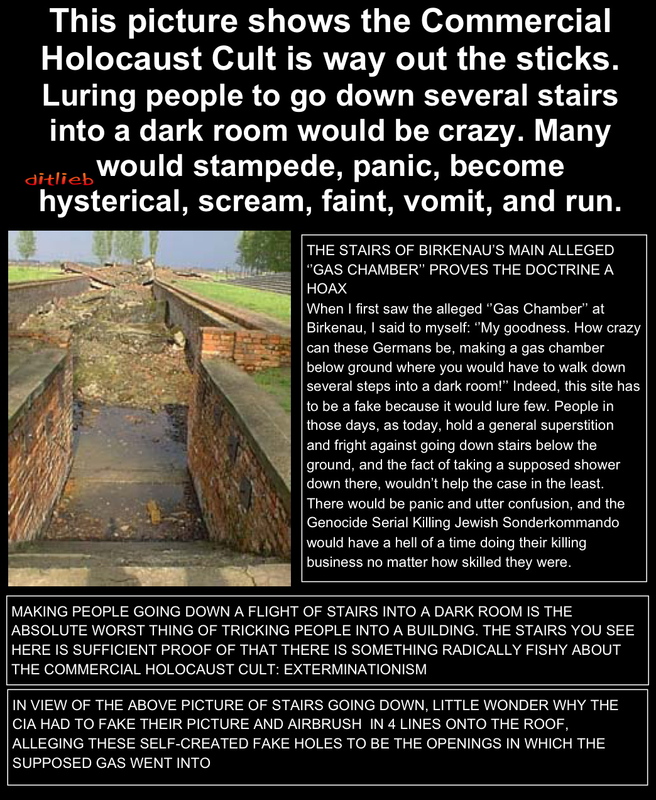 Thus Ditlieb Felderer’s claim that stairs were dangerous and it does not make sense the Germans would build such stupid ‘gas chambers’ became vividly materialized. Ditlieb Felderer’s claim got vindicated by his own fall. Helmut Kohl, could no longer DENY the danger of stairs. Not watching your steps going down a staircase could kill you, or injure you for life, exactly what happened to Helmut Kohl. It is indeed irony, the man who had helped in putting Ditlieb Felderer into Concentration Camps, now sits in a wheelchair totally inhibited save with a few living movements. Never kill the messenger who comes with news that may save your life. The covert Stalinist who had adopted all the basics of Stalinism, was to find out that admonition against using force and violence on someone; who only set out to find the facts of Doctrinal claims. I can think of nothing more criminal than putting people inside Concentration Camps for belief. Whatever he believes. But Helmut Kohl has expanded his doctrine of vengeance far beyond that. You now get 5 years in jail in Germany for mere Doubting! 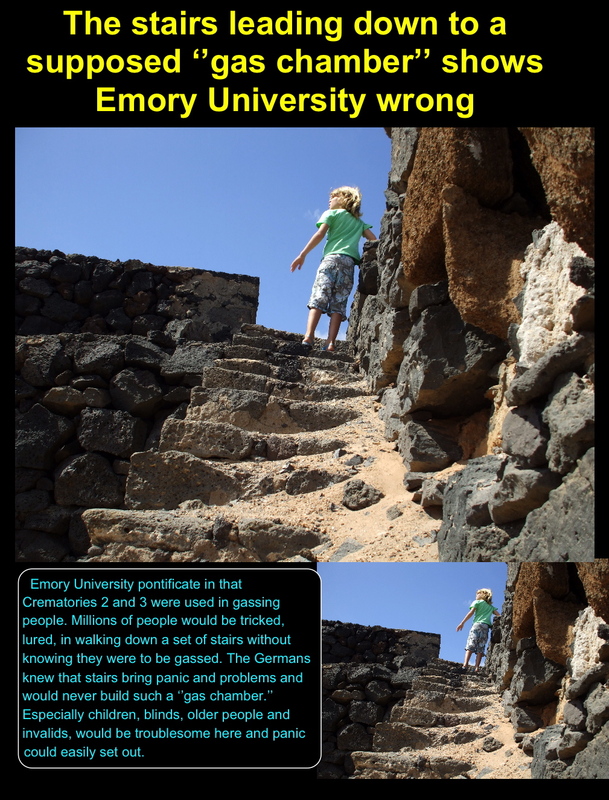 Doubting the claim that stairs do not harm. At the same time Germany is at war in Afghanistan, Africa, and God knows where else. To teach them Democracy and Free Speech! Helmut Kohl had adopted all the basic Doctrines of Stalin, those of Exterminationism. He never denied one Doctrine of Stalin’s ever flood for launching of Doctrines. Here he is seen after his fall on stairs being taken care of his present wife, Maike Kohl-Richter. Helmut Kohl who helped in putting Ditlieb Felderer inside Concentration Camp using abuse and torture, now had to face the reality of his Denial. Stairs can be dangerous. Stairs can kill you!